SAN FRANCISCO — Just weeks after regulators approved the last of nine multibillion-dollar solar thermal power plants to be built in the Southern California desert, a storm of lawsuits and the resurgence of an older solar technology are clouding the future of the nascent industry. The litigation, which seeks to block construction of five of the solar thermal projects, underscores the growing risks of building large-scale renewable energy plants in environmentally delicate areas. 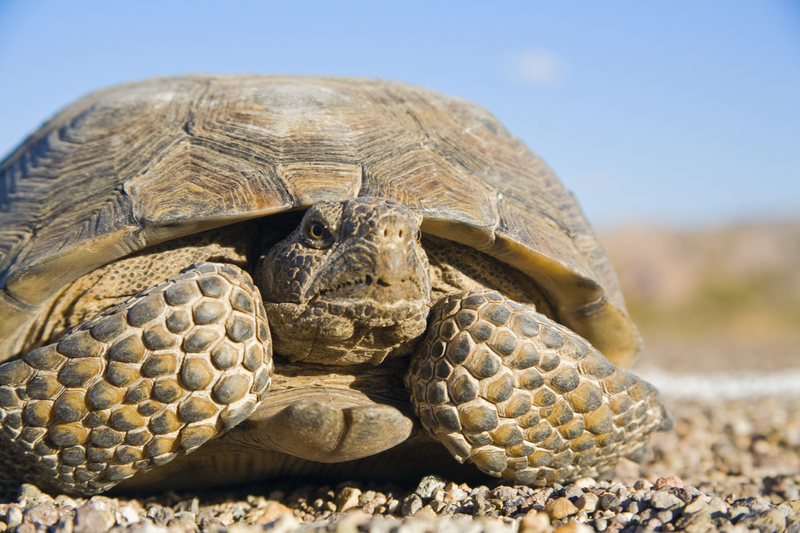 On Jan. 25, for instance, Solar Millennium withdrew its 16-month-old license application for a 250-megawatt solar station called Ridgecrest, citing regulators’ concerns over the project’s impact on the Mohave ground squirrel. At peak output, the five licensed solar thermal projects being challenged would power more than two million homes, create thousands of construction jobs and help the state meet aggressive renewable energy mandates. The projects are backed by California’s biggest utilities, top state officials and the Obama administration. But conservation, labor and American Indian groups are challenging the projects on environmental grounds. The lawsuits, coupled with a broad plunge in prices for energy from competing power sources, threaten the ability of developers to secure expiring federal loan guarantees and private financing to establish the projects. Only one developer so far, BrightSource Energy, has obtained a loan guarantee and begun construction. Like so many of this state’s troubles, the industry’s problems are rooted in real estate. 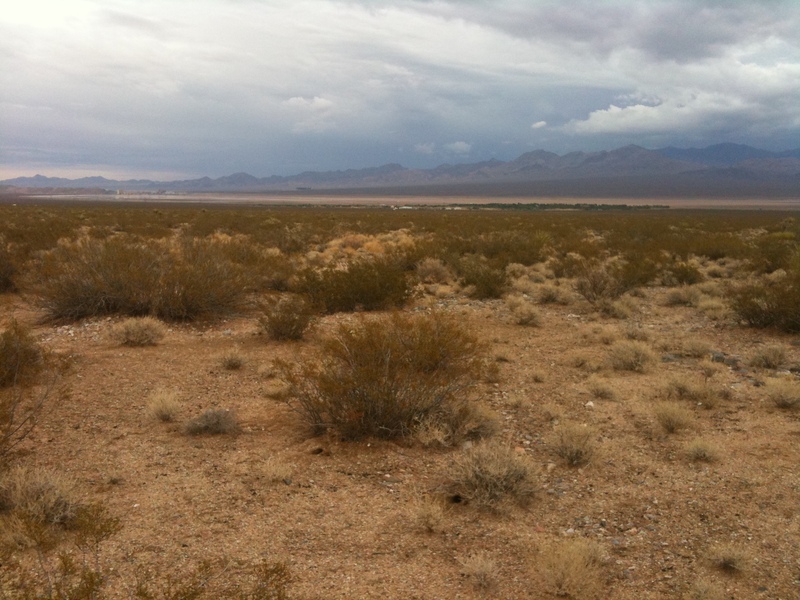 After President George W. Bush ordered public lands to be opened to renewable energy development and California passed a law in 2006 to reduce carbon emissions, scores of developers staked lease claims on nearly a million acres of Mojave Desert land. 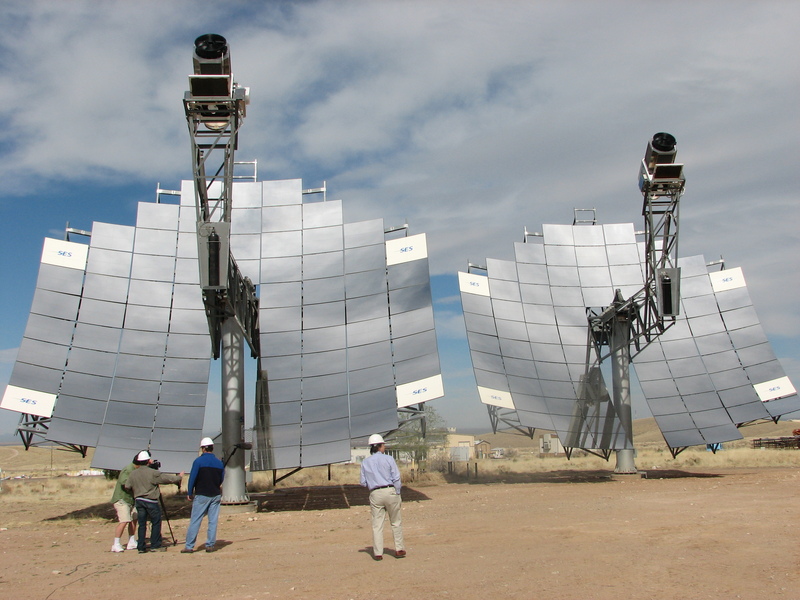 The government-owned land offered affordable, wide-open spaces and the abundant sunshine needed by solar thermal plants, which use huge arrays of mirrors to heat liquids to create steam that drives electricity-generating turbines. But many of the areas planned for solar development — including the five projects being challenged — are in fragile landscapes and are home to desert tortoises, bighorn sheep and other protected flora and fauna. The government sped through some of the required environmental reviews, and opponents are challenging those reviews as inadequate. The risk that the suits will succeed in blocking construction could make it more difficult for the builders to get federal loan guarantees or attract private financing. Officials with the Loan Programs Office of the United States Energy Department did not respond to requests for comment. However, department guidelines classify litigation risk as a significant factor to be considered when qualifying renewable energy projects for a loan guarantee. The conflict over the California projects has already accelerated a shakeout among competing solar technologies. Tessera Solar announced last week that it had sold its 709-megawatt Imperial Valley solar dish project, which had become the target of two lawsuits. The buyer, AES Solar, develops power plants using photovoltaic panels like those found on residential rooftops. The move follows Tessera’s sale of its 663.5-megawatt Calico solar dish power plant in late December, a week after the company lost its longstanding contract with a utility. Calico is the subject of three lawsuits, and the project’s new owner, a New York firm called K Road Power, said it planned to abandon most of the Tessera solar dishes and instead use photovoltaic panels. The California Energy Commission has temporarily withdrawn approval of a controversial solar power plant by NTR’s Tessera Solar after opponents protested that the 663.5-megawatt Calico project had been improperly licensed. California aims to get a third of its electricity from renewable energy by 2020 and the $2 billion plant is an important step toward that goal. An attorney for California Unions for Reliable Energy had argued in a November 11 letter that the energy commission, which licenses large-scale solar thermal power plants, had not filed required written findings about Calico environmental consequences when it approved the project on October 28. The order was issued late on Friday and the commission will take up the decision again on December 1, but the Sierra Club told Reuters on Monday that the environmental group may mount a legal challenge to Calico due to its impact on the imperiled desert tortoise, fringe-toed lizard and other wildlife. “We are considering litigation,” Gloria D. Smith, a senior staff attorney with the Sierra Club in San Francisco, said in an email. California Unions for Reliable Energy also is contemplating a legal challenge to the Calico decision on environmental grounds, said Marc D. Joseph, an attorney for the group. Calico is one of seven huge solar thermal power plants that the energy commission has licensed over the past three months so developers can begin construction by the end of the year to qualify for a federal cash grant that covers 30 percent of a project’s cost. Tessera has signed a contract to supply electricity generated by Calico to utility Edison International’s Southern California Edison, which is counting on the project to help it meet its renewable energy targets. On Friday, Karen Douglas, the energy commission’s chairman, issued an order withdrawing the date approval would go into effect for Calico. Douglas wrote that the decision did not mean that the commission agreed with the California Unions for Reliable Energy that the commission’s action had been improper. Sean Gallagher, Tessera’s vice president of market strategy and regulatory affairs, described the issue as a procedural one that the commission could easily correct. The company plans to deploy 26,540 solar dishes called Suncatchers at Calico. Resembling giant mirrored satellite receivers, each Suncatcher is 40 feet high and 38 feet wide and generates electricity by focusing the sun on a Stirling engine to heat hydrogen gas. As the gas expands, it drives pistons to generate electricity. The commission approved Calico only after Tessera agreed to reduce its footprint nearly in half to 4,613 acres in Southern California’s Mojave Desert. 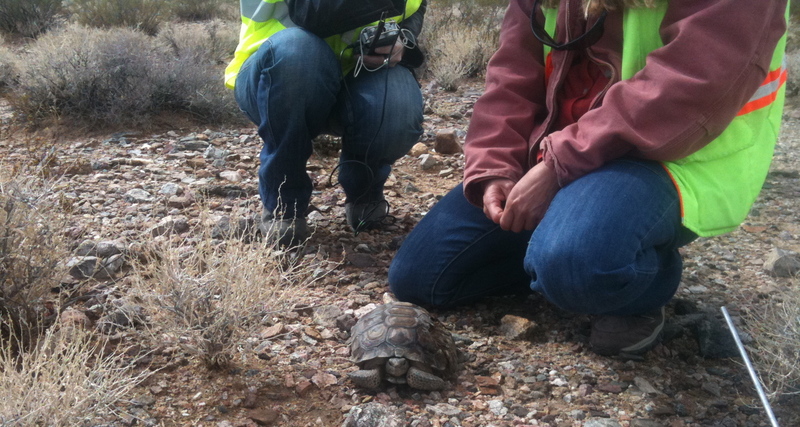 The revised configuration would reduce the impact on the desert tortoise by 79 percent, the commission said. But in an October 20 letter to the commission, Smith argued that even a downsized project would prove devastating to protected wildlife. Interior Secretary Ken Salazar on Tuesday gave the green light to the first two big solar power plants to be built on federal land in the California desert, promising more approvals of solar projects in the coming weeks. The granting of leases to Tessera Solar’s massive 709-megawatt Imperial Valley Solar Project and to a smaller 45-megawatt photovoltaic farm to be built by Chevron come four years after the solar land rush began in the Mojave Desert. With nearly 200 applications filed on hundreds of thousands of acres of Bureau of Land Management (BLM) property, the federal government soon became overwhelmed trying to weed out viable projects from speculators. Environmentalists, meanwhile, grew alarmed at the potential impact of such huge industrial projects on a plethora of imperiled wildlife, as well as on water supplies and desert vistas. The Obama administration beefed up BLM staff devoted to solar projects and began collaborating with California agencies to streamline the approval process. “Today’s projects are proof that we can cut red tape without cutting corners,” Salazar said Tuesday during a press conference. The looming expiration of federal tax incentives for large renewable energy projects also lit a fire under state and federal regulators to license power plants so that developers could begin construction by the end of the year. For instance, since Aug. 25, the California Energy Commission has licensed six solar thermal power plants that would cover some 39 square miles of desert land and generate 2,829 megawatts. That’s nearly six times as much solar capacity as was installed in the United States last year. Some environmental groups initially raised concerns about the Imperial Valley project, which will place 19,000, 38-foot by 40-foot Stirling solar dishes on 6,400 acres of desert land near the Mexican border east of San Diego. Of particular concern was the project’s impact on the flat-tailed horn lizard and the Peninsular bighorn sheep. A Native American tribe, meanwhile, objected to the power plant’s presence on their ancestral lands. But Johanna Wald, a senior attorney at the Natural Resources Defense Council in San Francisco, said the developer’s willingness to shrink the project to mitigate degradation of wildlife habitat and to minimize its water consumption won over her group and other environmentalists. “The company sat down with NRDC and our conservation partners and agreed to a number of important measures that were above and beyond the requirements that were imposed by the state and federal regulators,” Wald said in an interview. Nevertheless, the Sierra Club, the Center for Biological Diversity, and Native Americans have continued to object to the Imperial Valley solar farm. Wald singled out the much smaller Chevron project as one where developers’ selection of a site near transmission lines and away from protected wildlife paid off in the unanimous support from major environmental groups. While efforts to pass federal climate change legislation have stalled and a fight rages in California to overturn its global warming law at the ballot box, Golden State regulators have been licensing massive desert solar power plant projects at a breakneck pace in recent weeks. On Wednesday, for instance, the California Energy Commissioned approved two solar projects that would generate nearly 1,000 megawatts of electricity, the 250-megawatt Genesis Solar Energy Project and the 709-megawatt Imperial Valley Solar Project. Since Aug. 25, the energy commission has licensed six solar thermal power plants that would cover some 39 square miles of desert land and generate 2,829 megawatts. That’s nearly six times as much solar capacity that was installed in the United States last year, mostly from rooftop solar panels. “Consider how important it is that California move aggressively toward renewables and how important these pioneering projects are,” said Jeffrey Byron, a member of the California Energy Commission, said at a hearing Wednesday. Regulators and developers are racing to put shovels to ground before the end of the year when federal incentives for large renewable energy projects expire, which could threaten the financial viability of some of the solar projects. The Genesis project, to be built by Florida-based energy giant NextEra Energy Resources (formerly called FPL), will build long rows of parabolic troughs in the Riverside County desert that will focus sun on liquid-filled tubes suspended over the mirrors to create steam that will drive an electricity-generating turbine. 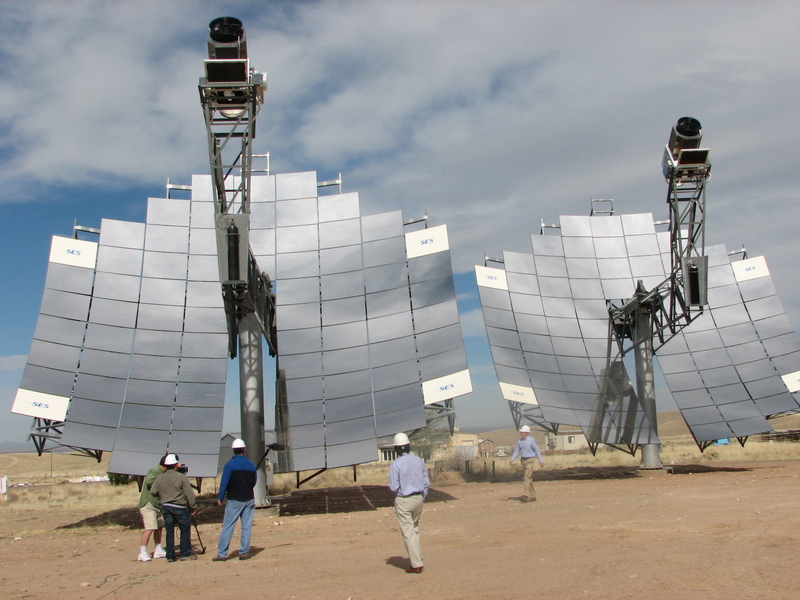 It’s an older solar technology that was first deployed in the 1980s in California. 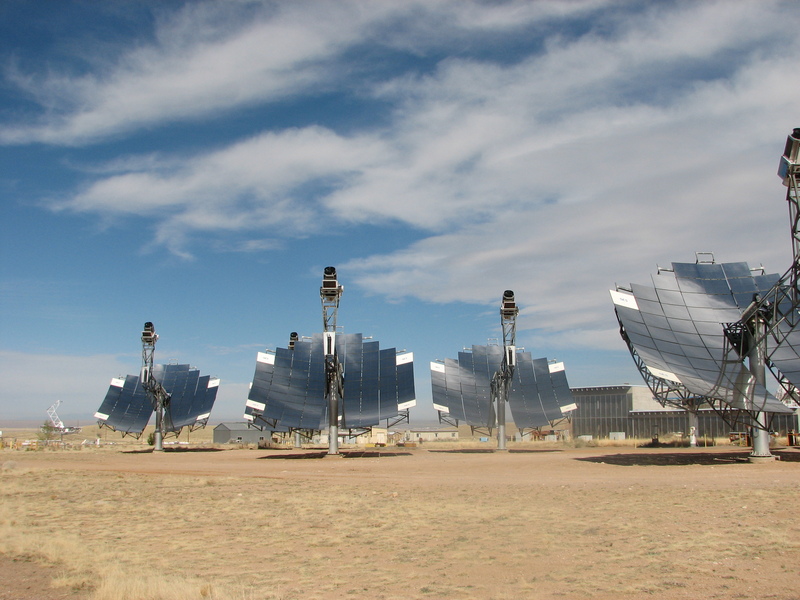 Tessera Solar’s Imperial Valley project, on the other hand, will be the first big test of Stirling dish technology. Resembling a giant mirrored satellite receiver, the 38-foot-high, 40-foot-wide, solar dish focuses the sun’s rays on a Stirling engine, heating hydrogen gas to drive pistons that generate 25-kilowatts of electricity. Some 29,000 of Tessera’s Suncatchers will be installed on more 6,400 acres of desert land near the Mexican border about 100 miles east of San Diego. Meanwhile, California Gov. Arnold Schwarzenegger this week signed into law what is thought to be the nation’s first energy storage legislation. The bill, AB 2514 could result in regulations requiring the state’s utilities to store a certain percentage of electricity generated in energy storage systems such as batteries, compressed air or flywheels. Energy storage is considered crucial for the mass deployment of solar power plants, wind farms and other sources of intermittent renewable energy, as well to build out the smart grid.